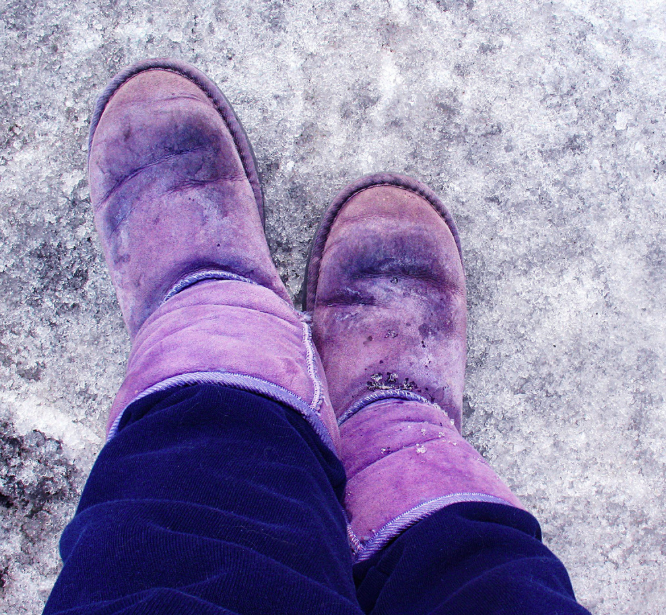 Purple ugg boots scuffed the pavement, while the screams of children echoed nearby. Final day of school holidays and the local amusement park was lapping up the attention. Winter held things at bay until school broke out, and it would feel the cold again when those purple boots were dragged back to class. But for a short few weeks, winter did not matter. Show bags were swinging, almost hitting the ground each time. Stooping down to look inside, the smell of the plastic stronger than the sweets inside. The dirt beside the pavement was filled with old pine needles and cigarette butts, but they made the perfect resting spot for her. The garish red wall of the fun fair’s entrance, her back support. As she looked around, her concern for her mother was lacking. Screaming of a different kind to that in the fair beside her is what she avoided. The park across from her, usually home to the few local wanderers, a happy father and son were throwing a football. What is so happy about that? Looking the other way, the sun blurred her vision, every now and then a passer by allowed her to see the market thriving with dawdling pedestrians. Over near the market, the white polar fleece waddled along, looking around. It was at least a half attempt at searching. She would give her that. Wind chimes and scarves hung across the stall beside her mother, her hands randomly touching them. Cigarette butts and a gherkin were better company right now. Two girls walked by giggling, and they seemed to be wearing yeti vests. A lot of girls seemed to be these days. Except her. Her purple ugg boots, worn at the toes and the heels, had been Dane’s attempt at being cool with her. Some people said they shouldn’t be worn outside. Purple was her, so she didn’t care. The cool breeze from the nearby bay, made her wish the jacket had been thicker. Thicker than her skin.